ICE’s crackdown is beyond aggressive. It’s illegal. Is ICE Out of Control? Two troubling cases suggest immigration officials may have intentionally broken the law while policing. 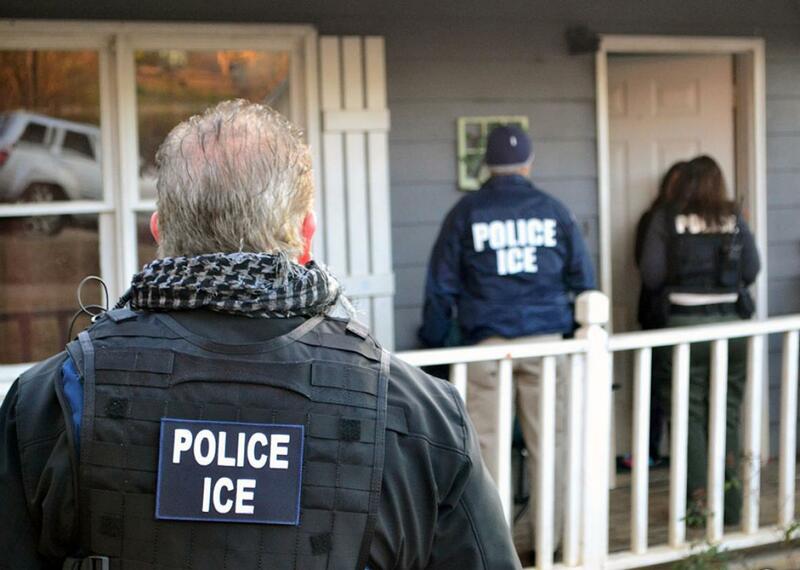 An ICE raid on Feb. 9 in Atlanta. Since Donald Trump entered office, Immigration and Customs Enforcement agents have cracked down on undocumented immigrants, conducting coordinated raids that appear to target not only convicted criminals but also individuals whose sole crime is living in the United States without documentation. This “enforcement surge” marks a departure from Obama-era restrictions, which limited the agency’s “enforcement priorities” to convicts, terrorist threats, and people who recently crossed the border—a policy ICE openly despised. ICE is legally empowered to conduct sweeps, and Trump is within his rights to lift Obama’s restrictions. But two recent high-profile arrests suggest that ICE may be altering evidence and manipulating facts in order to move in this aggressive new direction. Consider first the case of Daniel Ramirez Medina, whom ICE agents arrested last Friday. 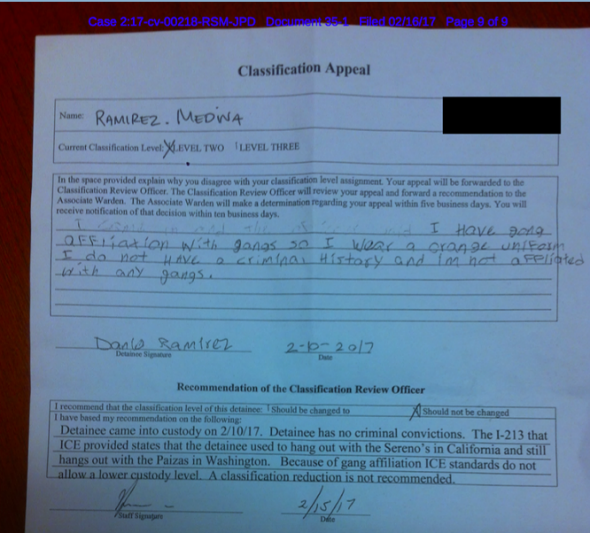 Ramirez is a beneficiary of Obama’s Deferred Action for Childhood Arrivals, which allowed him to remain in the U.S. and work lawfully despite being undocumented. When he explained to ICE agents that he was “legally here” and showed them his DACA work permit, they detained him anyway. At a processing center, Ramirez reiterated that he had a lawful work permit. Next, consider the troubling arrest of an undocumented domestic violence victim in El Paso, Texas, last week. County Attorney Jo Anne Bernal told the El Paso Times that ICE agents arrested the victim, a transgender woman, inside the courthouse shortly after she received a protective order against her alleged abuser. Bernal called the decision to make an arrest inside a protective court “unprecedented.” She added that ICE was likely acting on a tip from the victim’s alleged abuser, who may have been seeking vengeance. Eyewitnesses—including lawyers from the county attorney’s office, the judge who granted the protective order, and the victim’s advocate—confirmed Bernal’s account. An ICE affidavit told a very different story. According to that affidavit, ICE approached the woman only after she had exited the courthouse and “proceeded to walk along the side walk.” At that point, the affidavit states, agents questioned and arrested her. On Thursday, KFOX14 published surveillance video from the courthouse that seems to directly contradict the ICE affidavit. The footage appears to show ICE agents approaching the victim inside the courthouse and escorting her out of the building. That, of course, aligns with what multiple eyewitnesses, including county officials present at the courthouse, claim to have seen—and suggests that the ICE affidavit was false. Thus far, ICE has declined to comment on the incident and has insisted that its recent raids have been mostly business as usual. ICE isn’t the only government agency to face accusations of legal and ethical reaches: When Customs and Border Protection officers were given orders to implement Trump’s Muslim ban, many did so with startling cruelty, then allegedly refused to comply with court rulings ordering them to stop. ICE agents seem to be taking a page from CBP’s book, bending and even breaking the law in order to punish undocumented immigrants. Both abuses of power spring from Trump’s insistence that his administration should do whatever it must to put “America first.” And both suggest that to Trump, federal agents needn’t comply with “law and order” when might and mendacity will suffice.